Therefore, I implore you to assist me, especially – in the adoration of God and of the Most Holy Sacrament of the Altar, – in the contemplation of the word and the salvific works of God, -in the imitation of Christ and in the love of his Cross in a spirit of expiation, – in the faithful fulfillment of my mission within the Church, serving humbly after the example of Mary, my heavenly Mother, your Queen. And you, my good guardian angel, who continually behold the face of our Father in heaven, God entrusted me to you from the very beginning of my life. I thank you with all my heart for your loving care. I commit myself to you and promise you my love and fidelity. 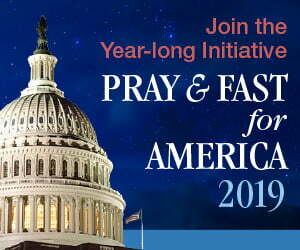 I beg you: protect me against my own weakness and against the attacks of the wicked spirits; enlighten my mind and my heart so that I may always know and accomplish the will of God; and lead me to union with God the Father, the Son, and the Holy Spirit. Amen. In the 1950’s, I attended Christian Brothers Academy, a Catholic high school in Syracuse, New York. Our religion teacher encouraged each of us to give our Guardian Angel a name and to dialogue with him. I gave my Guardian Angel the name Charlie. We know now, however, that we should be content to call our Guardian Angel by the name the Church has given us, “Guardian Angel,” just as we call our parents not “Bob” or “Jane,” but “Dad” or “Mom” [cf. Directory on Popular Piety in the Liturgy (217)]. As the years passed, I discovered that I lacked sufficient knowledge to refer to my Guardian Angel in regard to spiritual matters. Instead, inevitably, I’d refer to him for minor matters as, for example, to assist me in finding something I had misplaced. In the mid-1980’s, I read an article about the Work of the Holy Angels in the National Catholic Register, a national Catholic newspaper. The author explained that this relatively new spiritual movement in the Catholic Church benefits those who would like to cultivate a special collaboration with the holy angels. I contacted the US headquarters of Opus Sanctorum Angelorum (Work of the Holy Angels) to inquire as to whether there were any priestly members in my neighborhood who might be able to form me in the spirituality, preparing me for consecration to my Guardian Angel. At that time, the headquarters for the Opus Sanctorum Angelorum was at the Marian Center in San Francisco, California. Today, the headquarters are located at 164 Apollo Road SE, Carrollton, OH 44615. I received a list of priests who would be qualified to work with me, and one of the priests on the list was the Rev. John Comeskey. Rev. John Comeskey was, at that time, pastor of St. Patrick’s Catholic Church in Oneida, NY, about a one-hour drive from my home in the Syracuse area. I called Fr. Comeskey and made an appointment to meet with early one evening after supper. On the drive over to see him, I thought we would talk about Angels for an hour, and then I would be on my way back home. What a surprise I was in for, as we were still discussing the holy angels and the faith at one a.m. the next morning. I also learned that I was not Fr. Comeskey’s first candidate. Indeed, he himself had initially become involved when a local religious sister requested his help in preparation for consecration to her Guardian Angel in the Work of the Holy Angels. That had enkindled his own interest and led him to study the angels more deeply. It turned out that Opus Sanctorum Angelorum had given Fr. Comeskey a list of spiritual topics he needed to cover while preparing candidates for the consecration. The approach was both speculative and practical. I needed to deepen my knowledge of the holy angels, about the ministry of the heavenly hosts, and how I could better collaborate with my Guardian Angel. The speculative knowledge of the holy angels needed to take on a practical form. I also needed to develop ascetical virtues in order for the devotion to the holy angels to go beyond certain vocal prayers and requests to help find a parking place. The lessons with Fr. Comeskey continued through the following year. During that year, I was also instructed to practice SLO. The S stood for silence. The L stood for listening. The O stood for obedience. In a word, this was a school where I learned even more to turn my thoughts away from the world and dedicate my heart to God. With time and practice, it becomes a habitual frame of mind and disposition of heart. Those who become members of the Opus Sanctorum Angelorum and strive to live out this spirituality become, by God’s Grace, more solicitous for the Kingdom of God and docile to the inspirations of grace, which largely come to us through the ministry of one’s Guardian Angel. In particular, I became accustomed to go off on a daily basis to either a church or remote place where I could be silent to ponder the interests of God and listen attentively to the motions of grace, trying to be receptive and discerning about the insights I was receiving. The point of this activity was to grow in the interests of God, the love and knowledge of His Kingdom, and the readiness to pursue Christian perfection, consistently working more consciously with my Guardian Angel. St. Thomas Aquinas interestingly points out that an individual who is enlightened by one’s Guardian Angel is not even aware of his influence since the Guardian Angel generally adds his spiritual light to one’s natural insight so that the individual more clearly sees and loves the truth. The exercise, therefore, helped me to better tune in to the interests of God and His spiritual realm. Since human weakness is great and our spiritual foe, the devil, is wont to disguise himself as an angel of light to deceive the elect, it was important to discuss what insights I thought I was receiving with Fr. Comeskey at each of our meetings. Thanks be to God, Fr. Comeskey was a holy and prudent priest; his help and sound judgment was an invaluable aid in the discernment process. In general, a person who wants to make progress in the spiritual life ought to regularly submit his or her insights ideally to a spiritual director or to a confessor about the graces received. Why? It is both possible to misinterpret a genuine grace and because, as previously mentioned, the devil may also intervene. This happens most subtly with pious souls. St. Ignatius of Loyola warned that the evil spirit “begins by suggesting thoughts that are suited to a devout soul and ends by suggesting his own. For example, he will suggest holy and pious thoughts that are wholly in conformity with the sanctity of the soul. Afterwards, he will endeavor little by little to end by drawing the soul into his hidden snares and evil designs” (Rules for Discernment of Spirits, nr. 332). St. John of the Cross warns us strongly not to seek extraordinary graces because we can be either self-deceived or deceived by the devil. In fact, it is extraordinary and extremely rare for human beings to hear the voice of an angel, so I was very surprised the first time this happened to me. The first time I heard my Guardian Angel speak, his voice was so loud that I told Fr. Comeskey that the interior locutions should be called exterior locutions. My spiritual director explained that such locutions are still interior because I am the only one hearing the voice of my Guardian Angel. 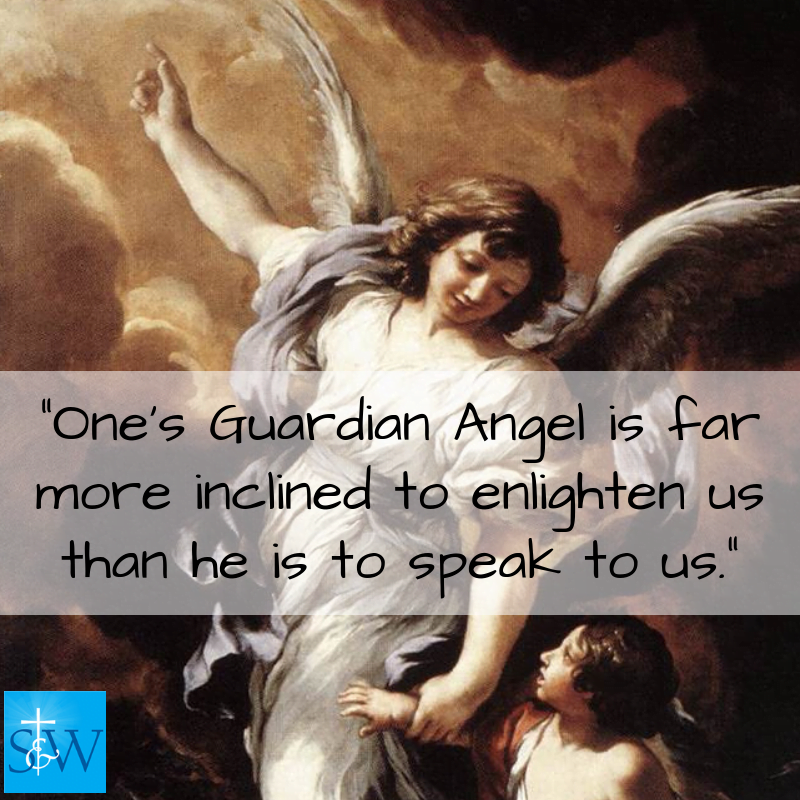 According to the spiritual masters of the Catholic Church, one’s Guardian Angel is far more inclined to enlighten us than he is to speak to us. His light, moreover, is so subtle and gentle that we generally cannot demonstrate that it is actually coming from one’s Guardian Angel. This is because the Guardian Angel gives his light to direct and intensify the natural light of our understanding or the light of our faith within our mind. Thus, we must constantly work towards a better-formed conscience and towards a greater docility to Divine Revelation and the teachings of Holy Mother Church. At the close of the year, I expressed the desire to make my consecration to my Guardian Angel to Fr. Comeskey. On the morning of October 2, 1988, the Feast of the Holy Guardian Angels, I assisted with Mass at St. Patrick’s Church in Oneida, NY. After this most holy ritual, I knelt and, with burning candle in hand, consecrated myself to my Guardian Angel in the presence of Fr. Comeskey. I should note that, after a period of examination by the Vatican, a new Consecration formula was approved in the year 2000 by Cardinal Ratzinger for use in Opus Angelorum worldwide. Following this new formula, the Confraternity of the Holy Guardian Angels was erected in the United States in 2006. Since then, a candidate receives a formal formation through monthly letters for one year prior to consecration. This formation focuses mainly on one’s own sanctification. The Consecration to the Guardian Angel may also be made by children who know and pray to their Guardian Angel and wish to deepen their friendship with him. With this consecration, one becomes a member of the Opus Sanctorum Angelorum. If one feels called to become even more engaged in the battle of saving souls, one can make a consecration to all the Holy Angels, a formation which lasts two years. * After my consecration, I continued to practice SLO and began to keep a written journal of my insights, whereby I sought more and more to call upon and collaborate withnmy Guardian Angel. I would then photocopy the pages of the journal and mail them to Fr. Comeskey for his review. Afterwards, we would meet to discuss his discernment of my insights. In cases that required immediate action, I would call Fr. Comeskey to discuss the matter. One such case occurred on the morning in the early spring of 1996. I was pondering what I might like to do next as a professional writer-photographer and decided that I would like to make a trip to the Rocky Mountains of Alberta, Canada to write an article about the Canadian Rocky Mountain National Parks. My Guardian Angel, however, who usually speaks to me an imperative tone of voice, told me: “Go to Rome.” Nonetheless, I wanted to pursue my original travel plans. I called Fr. Comeskey and explained the command that I had received, hoping that he would tell me that I didn’t have to go to Rome. This, however, was not the case. I should take a moment and note that obedience to a Guardian Angel is always subject to one’s obedience to Christ’s representative in the Church, beginning with one’s spiritual director or with one’s confessor. Apparently, Fr. Comeskey discerned that God had some grace or task for me to complete in Rome. Had Fr. Comeskey forbidden me to go to Rome, even if I had been personally convinced that my Guardian Angel wanted me to go to Rome, my greater obedience would have been to Fr. Comeskey. Still dissatisfied, I called Fr. William Wagner, ORC who was stationed in Rome and, at that time, was director for the Opus Sanctorum Angelorum in the United States and Canada. Fr. Wagner confirmed me in being obedient to Fr. Comeskey, who had discerned the matter and instructed me accordingly. I bit my tongue, purchased the airline ticket, and went to Rome. Why did my Guardian Angel want me to go to Rome? In hindsight, I believe the main reason was the healing I experienced. About a year prior, while doing research for travel articles in Florida, I had a stroke that badly damaged my right eye. At St. Peter’s Basilica in Rome, I went to the tomb of the late Pope John Paul I, whose name before he became Pope was Albino Luciano. I took my glasses off, put my right eye on his tomb and said, “You and I have something in common. Please fix my eye.” My last name, of course, is the same as the former Pope’s first name. Back home, during my next eye appointment, Dr. Charles Mango examined my right eye, stepped back, and shook his head back and forth. “What’s the matter?” I asked. He replied, “You’ve had a stroke and should be blind in your right eye, but you have good vision. I don’t understand it. Your case is one in a thousand. A higher power must be at work.” I then told Dr. Mango about my prayer to the late Pope John Paul I. Subsequently, I attended three consecutive Charismatic healing Masses held by the Rev. Amedeo Guida. At each Mass, Fr. Guida called out that God was healing someone’s right eye right then. After the first Mass, I asked Fr. Guida if he might be talking about my right eye. Fr. Guida told me to claim the healing and to thank God. I did. This was only one of the miracles that I experienced. A little while after this trip, I returned home from an outing and was walking with full arms to the side door of my home. Without warning, a strong wind came out of nowhere and caused me to stumble and drop everything. With my back up against the door, I put out my fists in defense, convinced that I was being attacked by an unknown entity. I then saw my Guardian Angel hovering in the air. His mighty wings, moving back and forth, had caused the sudden gust of wind that blew me back and frightened me. Though it was dark, I could see the bright white feathers of his right wing. I went into my home, called Fr. Comeskey and explained to him how the Guardian Angel had just appeared to me. Fr. Comeskey told me that was the Guardian Angel’s way of thanking me for obeying his command to go to Rome as well as obeying the other commands I had received from him through the years since making my Consecration. In Scripture, the appearance of angels is usually sudden, unexpected, and invariably inspires fear. Holy Mother Church teaches that the reason for such fear is to evoke even greater fear of the Lord, as well as great reverence and docility before the Throne of God. It was, indeed, an Angelic visit that I will never, ever forget.